Releasing Bass caught near Leesburg with GDawgbass Outdoors. 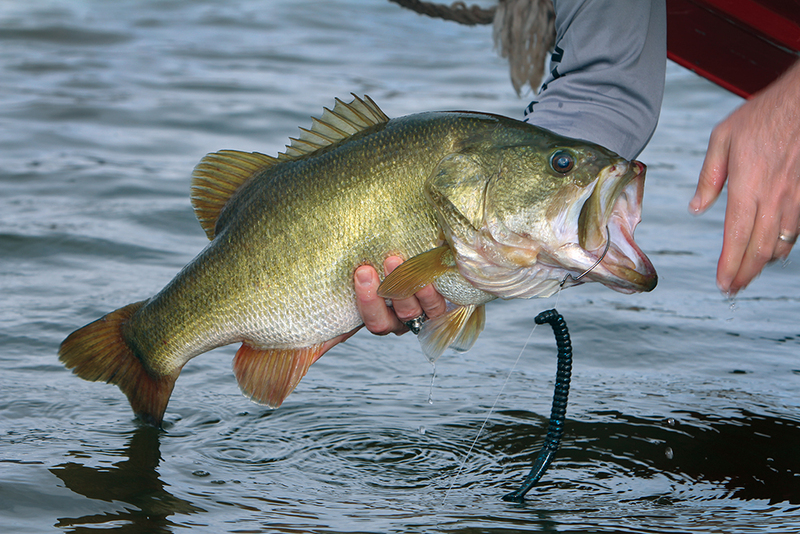 A bass fishing guide service specializing in the Harris chain go lakes. 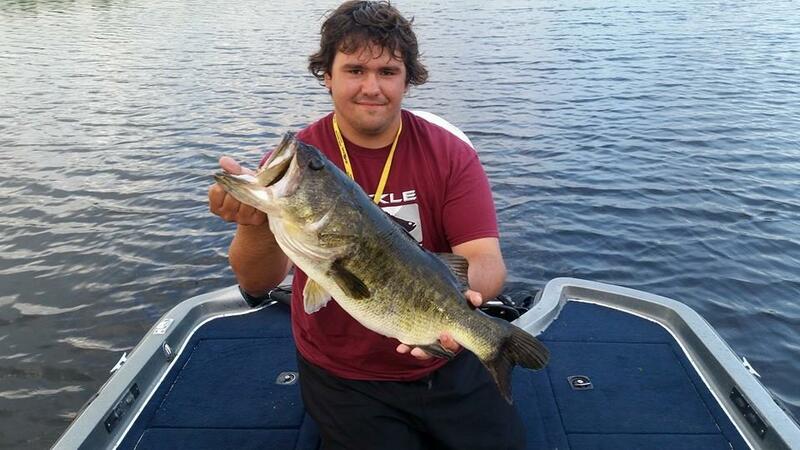 Nice bass caught near Mount Dora, FL with Orlando area fishing guide Capt. Grady Maynard. Bass caught near The Villages on a guided bass fishing trip with GDawg Bass Outdoors. Your premier bass fishing guide. Servicing Orlando and Lake County including The Villages, Leesburg, Mount Dora and Clermont. Owned and operated by Capt. 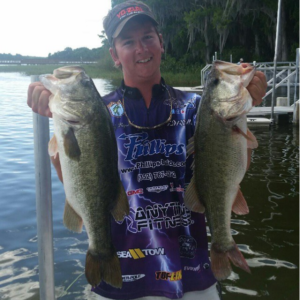 Grady Maynard, GdawgBass Guide Service offers 4, 6 and 8-hour fresh water bass fishing trips in Central Florida. We specialize in the Harris Chain of lakes which is well known for its trophy largemouth bass, plentiful black crappie and panfish. 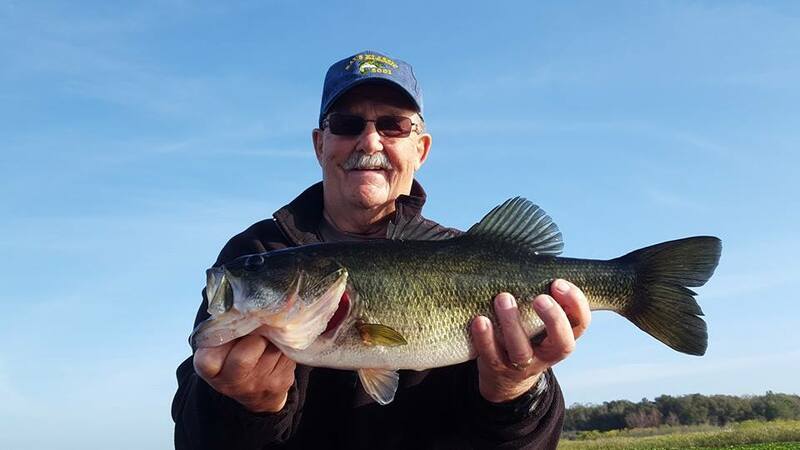 The Bass fishing is great year round on the Harris Chain and there is always a hot bite to be found somewhere on the largest chain of lakes in the state of Florida. Big tournaments are held here year round and it has proven every time how great the fishery really is with all the big stringers locals or professionals bring to the scales. 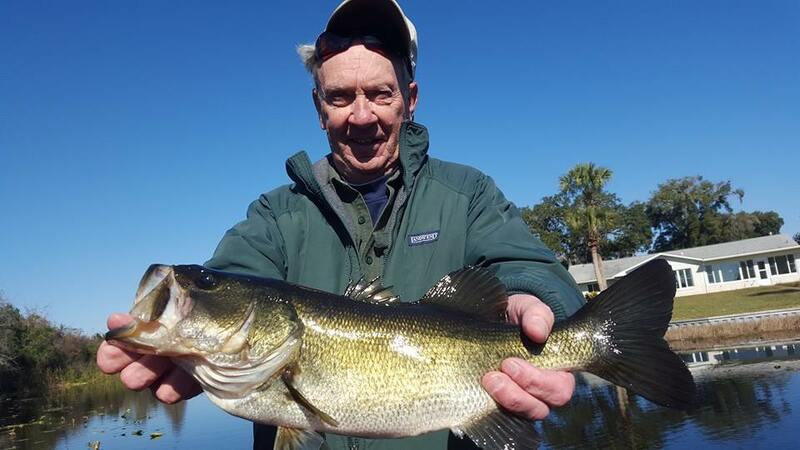 These world class bass fisheries are a short drive from Orlando and the Lake County cities of Leesburg, Clermont, Mount Dora, and The Villages. 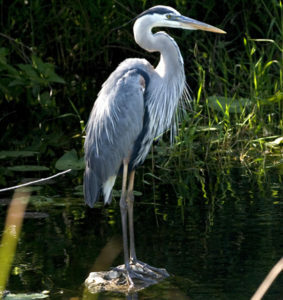 There are also some great fisheries nearby that are not connected to the chain of lakes like Lake Yale in Eustis Florida or Johns lake in Clermont Florida even the beautiful cypress-dotted chain of lakes known as the Butler chain located just outside of Orlando is also a fertile lake for amazing game fishing. If you’re looking for a great day of fishing with a seasoned Orlando bass fishing guide, join Capt. Grady Maynard on the Harris chain of lakes. We gladly take anglers of all skill levels, from the lifelong serious angler to the first time angler, all are welcomed. We customize all of our trips to the skill level and desires of our customers. We love to teach, instruct and assist new fisherman on the best tactics as well as the gear to get them fishing and to put them on the fish of a lifetime! We welcome the opportunity to share our love of fishing with kids and watching them get hooked on fishing for life. So it doesn’t matter if you have held a rod since you were in diapers or if you have never held a fishing rod in your life you’re sure to enjoy an unforgettable fishing experience. While catching that trophy bass is our top priority, we set out to make the trip an outdoor adventure and experience. Taking in the beautiful scenery and encountering unique creatures in their natural habitat is all part of the experience. From seeing a bald eagle dive down towards the water to catch a fish or seeing a 10ft gator swimming through the vegetation. Seeing how these animals live up close and personal will give you a glimpse of the beauty that nature has to offer and that we take for granted in this technological age and time. So there is plentiful fun to be had for anyone in your family that you would like to share this adventure with! Ready to go fishing? Don't miss out. Make your reservation today with our fast and easy booking system. For the Harris Chain of Lakes and the surrounding cities of Leesburg, Clermont, Mount Dora and the Villages.The Bass fishing on Lake Griffin and Lake Harris has been excellent lately! Our last charter we boated a 10.05lb Large mouth bass! Fishing offshore vegetation in 5 to 8ft of water has been key. Rattle Traps and Jerk baits have been the go to baits for the past two weeks boating numerous trophy sized bass. And as always the Infamous Golden Shiner is surely the ticket to boating that fish of a lifetime. The Crappie fishing has slowed down tremendously but the Bluegill and Shell Cracker should start spawning in the coming weeks with warm fronts and we will start loading the boat! Call and book a trip today for that experience of a lifetime!